The Securities and Exchange Commission has charged an Edinburg-based company and its owner with defrauding the La Joya school district. 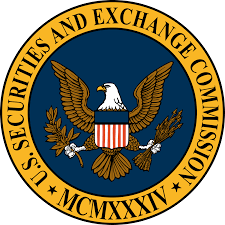 Mario Hinojosa of Mission and his company, Barcelona Strategies LLC, were charged by the SEC last week with misrepresenting his financial experience — a breach of fiduciary duty — and failing to disclose a conflict of interest when he served as municipal adviser to the school district between January 2013 and December 2014. During that time, the company served as municipal adviser on three bond offerings — a means for entities to raise funds to finance public projects. As such, Hinojosa earned $386,876.52 in fees. “During LJISD’s process of selecting Barcelona as its municipal adviser, Barcelona and Hinojosa overstated and misrepresented their municipal finance experience to LJISD,” the SEC order states. In a brochure Hinojosa drafted for Barcelona, the company claims that the “professionals” at the company participated in several municipal offerings, have municipal finance experience in 14 different municipal bond issuances, and that Hinojosa had four years of municipal finance experience. However, the order alleges that Hinojosa had never served as an adviser, municipal or otherwise, on any bond issuances. “Second, the brochure did not mention that Hinojosa’s municipal finance experience was limited to providing administrative and paralegal services to the firm, the current bond counsel for LJISD,” the order states. Attempts to reach Hinojosa by phone and at his residence were unsuccessful. The conflict of interest allegation refers to Hinojosa allegedly failing to disclose that he worked for the attorneys who served as bond counsel for all three bond offerings. The law firms he was employed with were Muñoz & Frankel, from at least 2009 through 2014, and the Muñoz Law Firm – Sergio Muñoz Jr. & Associates “from at least 2012 through the present,” according to the May 9 order. Sergio Muñoz Jr., who has been a member of the Texas House of Representatives since at least 2011, operates the Muñoz Law Firm and is a partner in Muñoz & Frankel. Muñoz said Hinojosa was no longer employed at the Muñoz Law Firm and did not answer specific questions about the order, adamantly claiming it didn’t pertain to him. He denied Hinojosa’s employment with the law firm was the source of the conflict of interest charge in the SEC order. However, the order explains that the conflict lies in Hinojosa’s employment with Muñoz’s law firms. Later on, the order reiterates the conflict of interest with Muñoz’s law firm by stating that Hinojosa drafted a brochure for Barcelona that “failed to mention that Hinojosa already possessed a financial interest in the (LJISD) bond offerings by virtue of his status as an employee of the firm (Muñoz & Frankel). The allegations against Hinojosa are violations of the federal securities laws and the rules of the Municipal Securities Rulemaking Board. Hinojosa and his company, Barcelona, agreed to a cease-and-desist order without admitting or denying the allegations.